The British Universities and Colleges Sport (BUCS) Short Course Championships finished up today after a 3-day siege on meet and national records. 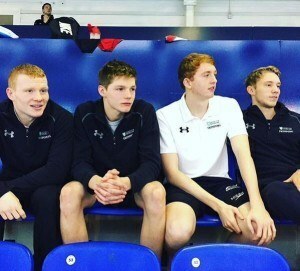 The competition at Ponds Forge in Sheffield marked the BUCS’ first competition of the 2015-16 swim season and hosted the likes of such prime time athletes as University of Stirling’s Craig Benson and Duncan Scott, along with University of East London’s Aimee Willmott. Loughborough indeed swam away with its 12th consecutive BUCS team title with a total of 367 points, comfortably holding off a solid Sterling squad (258) and powerful cluster from Edinburgh (230) who finished in 2nd and 3rd places, respectively. The team standings only further put the spotlight on the country of Scotland as one of a hotbed of talent. With aforementioned Benson and Scott, the Unviersity of Sterling is also home to Commonwealth Champion Ross Murdoch and 800m freestyle relay World Champion Robbie Renwick. 2015’s BUCS Sportswoman of the Year, Aimee Willmott, kept the momentum going, racing her way to a new BUCS record in the women’s 400m IM. Her time of 4:31.77 crushed the previous meet record by over 5 seconds and now positions Willmott as the 3rd-fastest female in the season on the world rankings. Willmott also brought home the win in the women’s 800m freestyle in a time of 8:29.62. Two-time 2014 Commonwealth Games gold medalist, Ben Proud from St. Mark and St. John’s threw down a massive 50m freestyle sprint for the win and new meet record. His newly-minted personal best time of 21.40 earned the gold at Ponds Forge and moves the 21-year-old ever closer to the British National Record of 21.13 held by Mark Foster since 2001. Proud now sits as 3rd-fastest in the world so far in the event this season. Of note, University of Stirling swimmer Calum Bain from Ireland wound up 7th in the overall standings of the men’s 50m freestyle, but not before breaking his nation’s National Junior Record in the event. In prelims, the 18-year-old scored a mark of 22.56 to undercut the previous Irish Junior National Record of 22.78 held by Curtis Coulter since 2013. Bain would ultimately finish 7th in a time of 22.61 in finals, so his 22.56 remains as the new Irish Junior National Record. 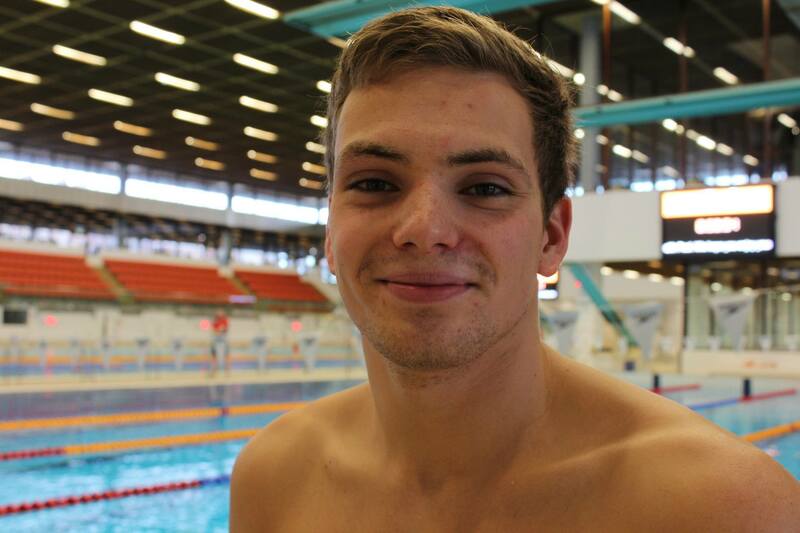 In the longer freestyle sprint distance, European Games multiple gold medalist Duncan Scott, also from the University of Stirling, raced his way to a new BUCS record in the men’s 100m freestyle. Scott’s time of 47.78 beat Proud by just over half a second to register the only sub-48 mark of the meet. Scott’s time obliterates his previous personal best of 49.47 from 2013’s Scottish Short Course Nationals and now positions the young 18-year-old as the 2nd-swiftest time of this season’s world rankings in the event. Loughborough’s Jocelyn Ulyett moved herself to 3rd in the world rankings in the women’s 200m breaststroke event, touching the wall for the win in a time of 2:24.72 to post the only sub 2:25-mark of the field. Ulyett scored a new BUCS meet record with her swift mark. In the shorter 100m distance of the same stroke, Edinburgh’s Kathryn Johnstone cracked a time of 1:06.54 to win the event and earn a new notch in the BUCS record books for herself. Johnstone’s time sits just outside the world’s top 5, but was enough to clear the field by almost a second. Yet another exciting highlight of the meet was the Edinburgh squad’s record-breaking swim in the women’s 200m medley relay. The foursome of Lucy Hope, Kathryn Johnstone, Raquel Matos and Emily Jones wiped away the previous Scottish National Record in the event, as the athletes combined for a new record time of 1:50.81. 3 of the 4 members were part of the previous record-holding relay from 2014, save for Emily Jones, who replaced the now-retired Caitlin McClatchey. The previous record stood at 1:51.44. Perhaps the biggest star of the BUCS show was University of Stirling’s Craig Benson, World Cup silver medalist and rising international breast stroking threat. Benson rocked 3 new BUCS records and 1 new Scottish national mark over the course of the meet, all within his signature stroke. Benson kicked off the meet with a new BUCS and Scottish National Record in the 50m breaststroke, becoming the first Scottish swimmer ever to dip beneath the 27-second threshold in the short course event. First in heats, Benson swam a time of 27.03 to knock off Stirling teammate’s Ross Murdoch’s previous record of 27.03 from 2013’s Scottish Nationals, then Benson lowered that feat even further with the first sub-27 short course swim in Scottish history with his time of 26.84. Benson then went on to register a 200m breaststroke time of 2:06.12 to win his 2nd event, as well as scribe his name into the BUCS record books for a 2nd time. The 21-year-old completed his hat-trick of wins by also coming out victoriously in the 100m event in a time of 58.26, another new BUCS record for the emerging athlete. Benson was the only athlete to swim a sub-59 time of the finals field. In this one tremendous meet effort, Benson now ranks as 3rd in the world in the 50m breaststroke, 1st in the world in the 100m breaststroke, as well as 1st in the world in the 200m breaststroke.